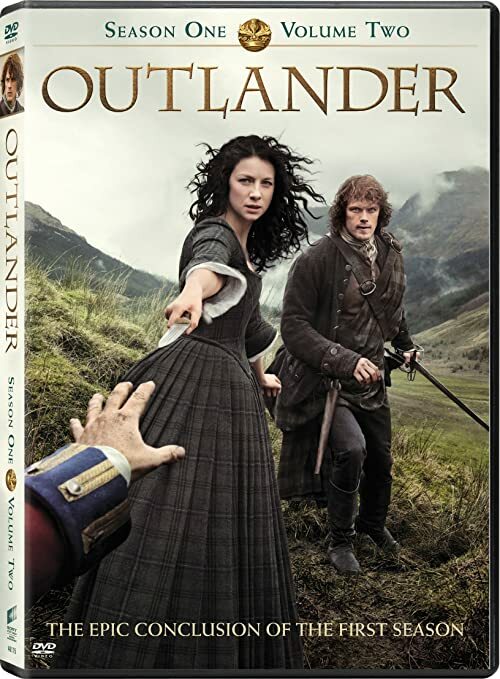 The DVD and Blu-ray of the 2nd half of OUTLANDER Season 1 (covering episodes 109-116) is now available! You can order from Amazon (DVD or Blu-ray), or look for it wherever DVDs are sold. For more information about the contents of the Blu-ray and DVD, look here. 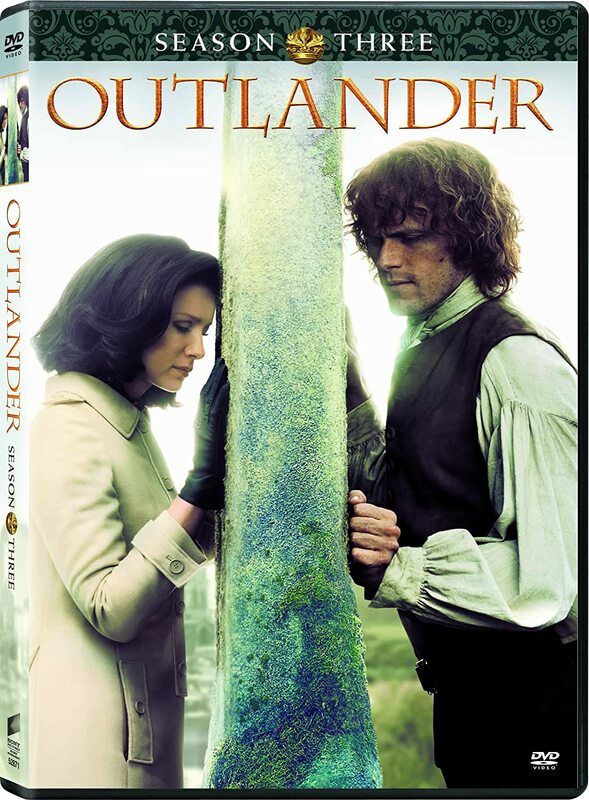 PLEASE NOTE: If you bought the Blu-ray Collector's Edition of OUTLANDER Season 1 Volume 1, there is a cardboard "place-holder" in the box that is intended for the second half of the season. When you get your copy of the Volume 2 Blu-ray, simply remove the cardboard from the Collector's Edition box and insert Volume 2, so you'll have a complete set of Season 1 in one box. NOTE IF YOU LIVE OUTSIDE THE US: The links above are for the US version only. For the UK version, which contains all 16 episodes, look here. 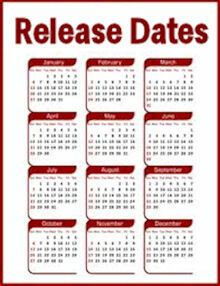 I will be getting my copy later today, and I'll post my reactions to the "extras" and special features later this week. 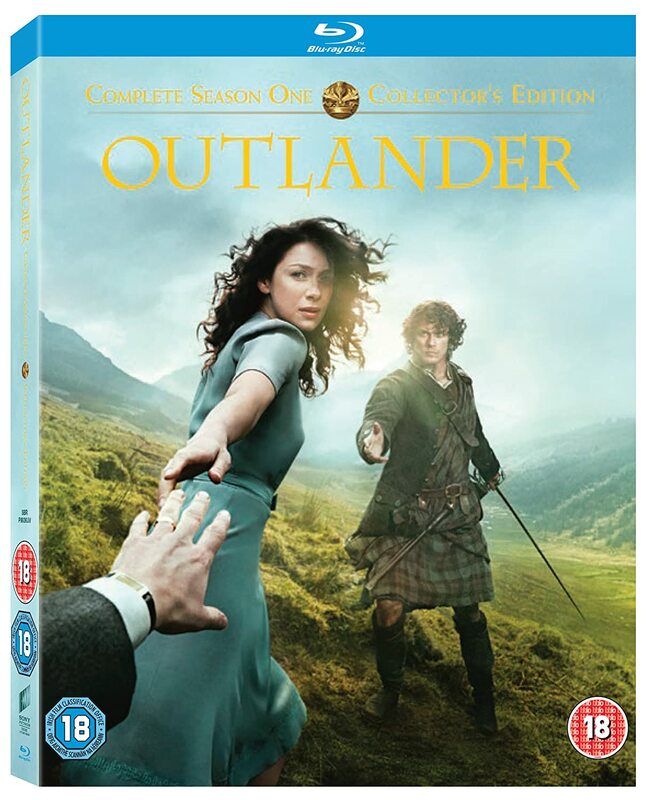 A specially curated Deluxe Collector’s Edition will also be available for Outlander fans to own early on 28 September on DVD and Blu-ray. 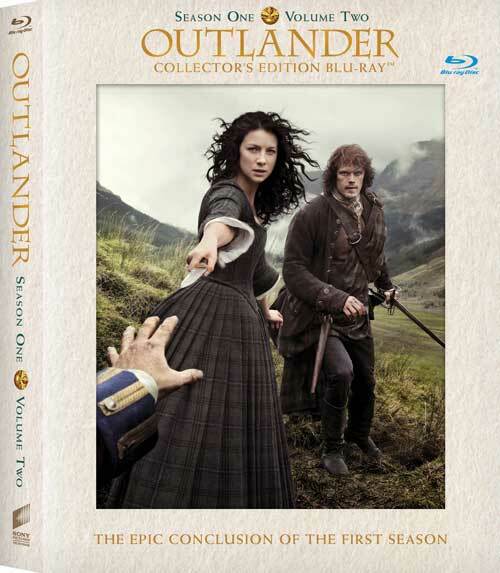 In addition to extensive special features, the Deluxe Collector’s Edition boasts exclusive packaging with a gold foiled slip case, five collectible art cards and a 64-page book with photographs, excerpts from the script and an introduction from author Diana Gabaldon." Please note: the regular DVD/Blu-ray version will not be released until October 26, but the Collector's Edition is available now. 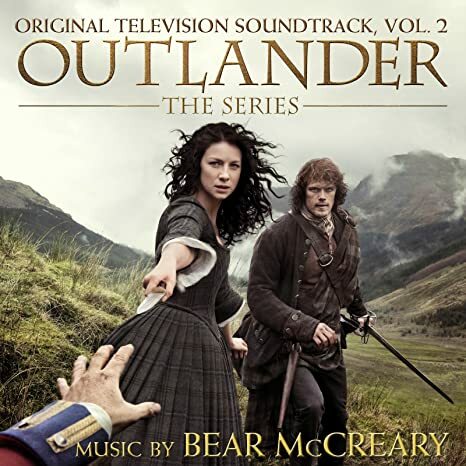 Also, Amazon.co.uk is running a contest where UK fans can win a visit to the set of the OUTLANDER TV series! Contest ends Sunday, October 4th. Look here for the entry form and more information about the contest. Please pass this information along to anyone you know in the UK who might be interested. Thanks! This scene comes from Episode 110, "By the Pricking of My Thumbs". I'm really looking forward to seeing the rest of the "extras" and deleted scenes when the Season 1 Volume 2 Blu-ray comes out on September 29! 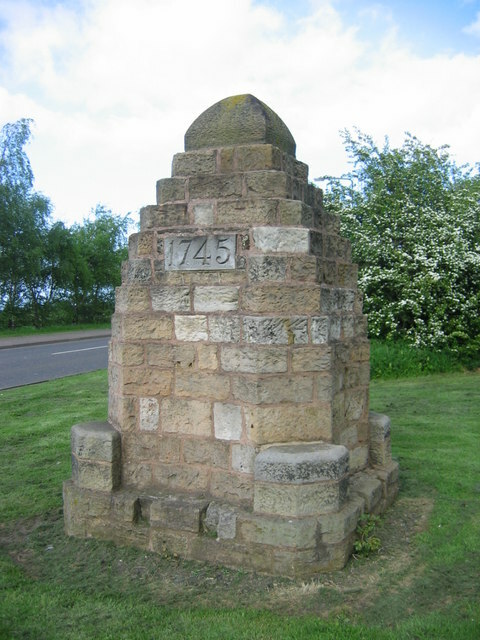 This is the memorial to those who fell in battle at Prestonpans, Scotland, on September 21, 1745. I furrowed my brow, trying to recall every last scrap of information. I could conjure a mental picture of the small, tattered brown copy of A Child’s History of England, read by the flickering light of a kerosene lantern in a mud hut somewhere in Persia. Mentally flicking the pages, I could just recall the two-page section that was all the author had seen fit to devote to the second Jacobite Rising, known to historians as “the ’45.” And within that two-page section, the single paragraph dealing with the battle we were about to fight. “The Scots win,” I said helpfully. To prevent a surprise attack during the night, [the English General] Cope kept fires burning in front of his position and posted no less than 200 dragoons and 300 infantry as pickets. At the crack of dawn however, at 6 am on 21 September 1745, Cope's dragoons beheld the spectacle of 1,400 Highlanders charging through the early mist making "wild Highland war cries and with the bloodcurdling skirl of the pipes...."
For more information about the history of the battle, look here and here. I'm really looking forward to seeing these events depicted in Season 2 of the OUTLANDER TV series! September 18 is the 237th anniversary of a very tragic event in the OUTLANDER series. If you haven't read Diana Gabaldon's WRITTEN IN MY OWN HEART'S BLOOD (Book 8 of the OUTLANDER series), there are SPOILERS below! Henri-Christian's death in WRITTEN IN MY OWN HEART'S BLOOD was so sudden, and so unexpected, that even now, fifteen months after the book was published, I still can't quite believe it really happened. 1) Remember our first introduction to wee Monsieur L'Oeuf? [Marsali] leaned back a little and pushed a hand firmly into the side of her mound. Then she seized Germain's hand and put it on the spot. Even from where I stood, I could see the surge of flesh as the baby kicked vigorously in response to being poked. 2) I have always found Jamie's unconditional acceptance of Henri-Christian very moving. “One of the lads asked me was it true, what Mr. Roger said, about the wean belonging to the Lord? I told him I certainly wouldna argue with Mr. Roger about that--but whoever else he belonged to, Henri-Christian belongs to me, as well, and best they should remember it." "Want to see a trick, Grandmère?" Henri-Christian croaked eagerly. Marsali was right; he did sound like a constipated bullfrog. I nodded, though, and, hopping off my lap, he pulled three small leather bags stuffed with bran out of his pocket and began at once to juggle them with amazing dexterity. "His da taught him," Marsali said, with a certain amount of pride. "When I'm big like Germain, Da will teach me to pick pockets, too!" Marsali gasped and clapped a hand over his mouth. "Henri-Christian, we dinna ever speak o' that," she said sternly. "Not to anybody. D'ye hear?" He glanced at me, bewildered, but nodded obediently. 4) This bit makes me laugh. God, I miss this kid! "That'll do, Henri! A Dhia, the state of you! Go find one o' your sisters and tell her to wash your hands for ye, aye?" Henri looked at his hands, as though astonished to find them completely black. "Oui, Maman," he said, and, cheerfully wiping them on his breeches, scampered out into the kitchen, bellowing, "Félicité! Come wash me!" at the top of his lungs. 5) This next quote makes my heart ache so much for poor Germain! What a terrible burden of guilt for a ten-year-old boy to bear. "I promised Maman, when he was born, I said I would never leave him." 6) I can't even imagine what it must feel like to lose a child. The bench beside me creaked, and Jenny sat down. Wordless, she put her arm about my shoulder, and equally wordless, I bent my head to hers and we wept for a bit--not only for Henri-Christian but for the babies we each had lost, my stillborn Faith, her infant Caitlin. And for Marsali, now joining us in this sorrowful kinship. 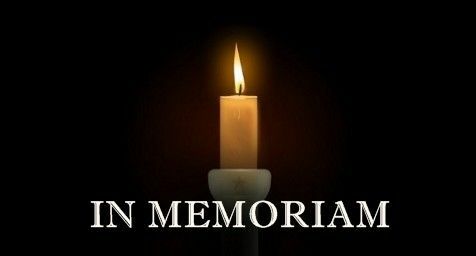 RIP, Henri-Christian Fraser! We miss you. I have learned a tremendous amount in the last seven years about how to manage a large and constantly shifting group of forum members. 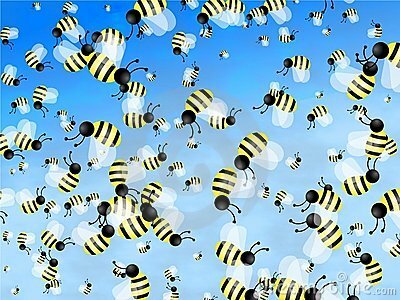 Here are ten of my favorite tips, techniques, and strategies for bumblebee-herding. I think most of these could be applied to managing any online community, Facebook group, etc. 1) Keeping discussions organized and on-topic is an art, not a science, and it takes time and practice to learn how to do it effectively. 2) You can't please everybody. Inevitably, some people will disagree with your decisions. Don't take it personally. 3) Trust your own judgment. 4) Encourage people to ask questions. Even if the topic has been discussed many times before, there will always be newcomers who haven't seen the previous posts. 5) Make an effort to acknowledge new people and make them feel welcome. This is especially important in a group where many of the members have known each other for a long time. 6) Nobody's perfect. Even bumblebee-herders make mistakes from time to time. <g> It's OK to admit it if you screw up. 7) Lead by example. Be polite and show that you have a sense of humor, and most people will reciprocate. 8) Discussions tend to run in cycles. If you hit a rough patch, try to remember "this too shall pass". 10) Don't be afraid to yell for help if you need it. This past year on Compuserve has been quite a challenge for me, but I'm still enjoying my role on the forum tremendously! This week marks two years since the announcement of Caitriona Balfe's casting as Claire! In honor of the occasion, Cait has asked OUTLANDER fans to do something in support of the Syrian refugees. The Caitriots are supporting ShelterBox, which provides emergency life-saving food and shelter to homeless/displaced people to help keep families safe until longer term needs can be addressed. Click on the picture above to get a closer look at the contents of a typical ShelterBox. For more information about the assistance ShelterBox provides, look here. If you have questions, you can contact April Steele or Gayla Cole on Facebook. What about the rest of you? 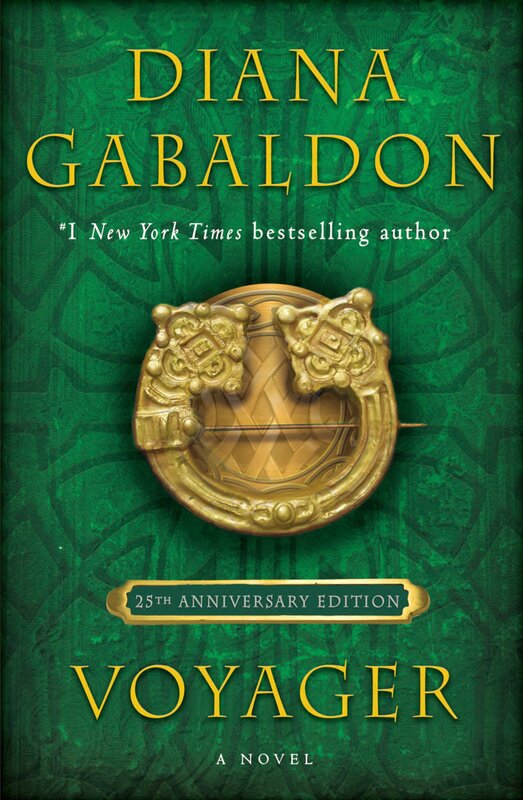 Is there a particular word or phrase that you encountered for the first time in one of Diana Gabaldon's books or stories? Feel free to post a comment here or on my Outlandish Observations Facebook page. 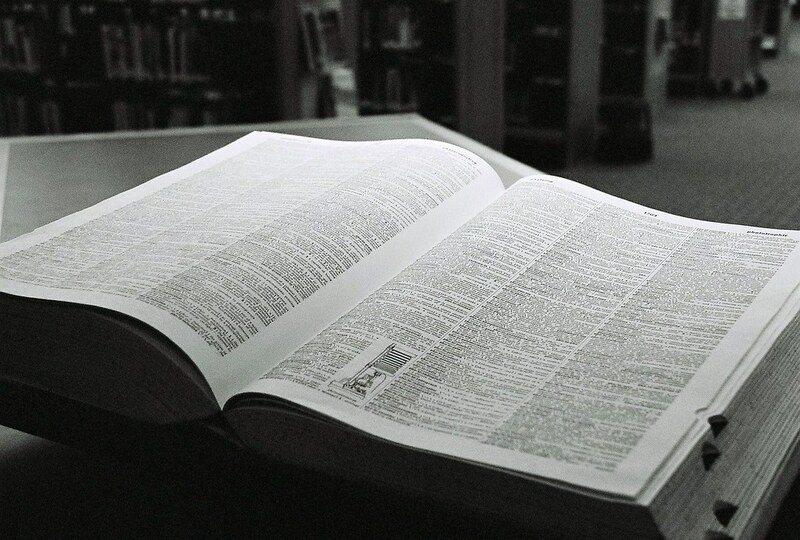 Diana makes no secret of the fact that she loves unusual words. Look here for a post on Compuserve from 2008 in which she talks about it in some detail. Here's the cover of the upcoming Official OUTLANDER Coloring Book, due out October 27, 2015. Personally I think Jamie looks like a teenager in this picture. Too bad they couldn't have used a drawing of Sam Heughan and Caitriona Balfe! For those of you who don't know, this is a coloring book intended for adults. Look here for more information. UPDATE 9/7/2015 8:22 pm: Diana Gabaldon has posted a detailed explanation about the coloring book on her Facebook page. I would definitely encourage you to read the whole thing! Today, September 3, is Jonathan Wolverton Randall's birthday. What an unforgettable, unspeakably evil character! 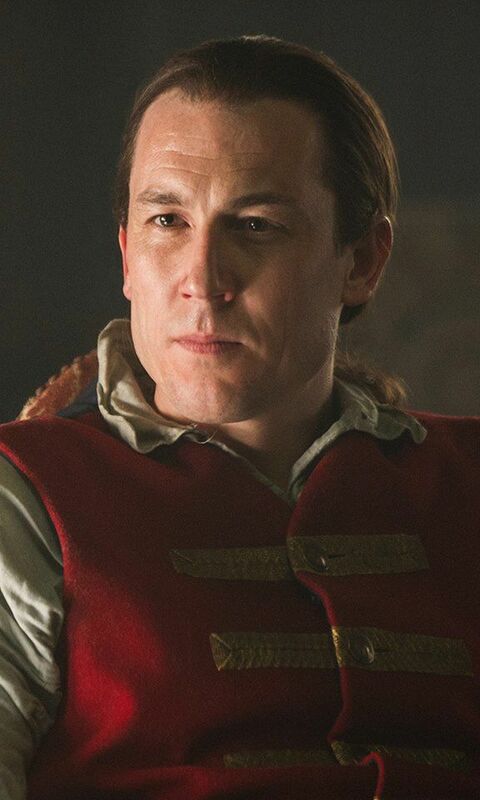 Tobias Menzies is just mesmerizing as Black Jack Randall in the OUTLANDER TV series. By now I had sufficient command of myself to speak, and I did so. I stepped back a pace, so that the torchlight fell full on me, for I wanted him to remember my face. “You asked me, Captain, if I were a witch,” I said, my voice low and steady. “I’ll answer you now. Witch I am. Witch, and I curse you. You will marry, Captain, and your wife will bear a child, but you shall not live to see your firstborn. I curse you with knowledge, Jack Randall--I give you the hour of your death." The voice did not come at first; for a moment he hoped it would not--perhaps it had been long enough...but then it was there again, whispering in his ear as though it had never left, its insinuations a caress that burned his memory as once they had burned his skin. "Gently at first," it breathed. "Softly. Tender as though you were my infant son. Gently, but for so long you will forget there was a time I did not own your body." "And then," the voice said, loving, "then I'll hurt you very badly. And you will thank me, and ask for more." "I wonder, you know," he said. "Whether you have had from him as much as I?" He tilted his head to one side, sharp features coming into focus as he moved out of the shadow. The fugitive light caught him momentarily from the side, lighting the pale hazel of his eyes and making them shine, like those of a beast glimpsed hiding in the bushes. The note of triumph in his voice was faint, but unmistakable. "I," he said softly, "I have had him as you could never have him. You are a woman; you cannot understand, even witch as you are. I have held the soul of his manhood, have taken from him what he has taken from me. I know him, as he now knows me. We are bound, he and I, by blood." "You choose a very odd way of seeking my help," I said, my voice shaking. 4) Many of you will remember this bit from Episode 106, "The Garrison Commander". I thought it was really well done, but I missed Claire's last line. He drew back his arm and hit me in the pit of the stomach. I made no noise, because I had no breath. I sat on the floor, doubled over, struggling to draw air into my lungs. I was shocked far beyond the actual pain of the blow, which was beginning to make itself felt, along with a wave of giddy sickness. In a fairly eventful life, no one had ever purposely struck me before. The Captain squatted down in front of me. His wig was slightly awry, but aside from that and a certain brightness to his eyes, he showed no change from his normal controlled elegance. I was beginning to make a rather odd wheezing noise, as the first wisps of oxygen found their way painfully into my throat. I rolled onto my hands and knees and groped feebly for the edge of the table. The corporal, after a nervous glance at the captain, reached down to help me up. Waves of blackness seemed to ripple over the room. I sank onto the stool and closed my eyes. “Look at me.” The voice was as light and calm as though he were about to offer me tea. I opened my eyes and looked up at him through a slight fog. His hands were braced on his exquisitely tailored hips. “Have you anything to say to me now, Madam?” he demanded. “Your wig is crooked,” I said, and closed my eyes again. 5) Who exactly is BJR referring to in this next quote? His brother Alex Randall, or Alex MacGregor? 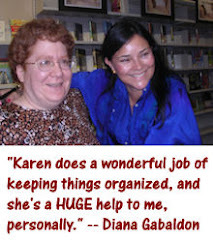 We don't know, and Diana Gabaldon isn't saying. But it's fun to speculate! "I canna think why I did it. But I put my arms about him, and we just lay still for a bit. He stopped crying, finally, and kissed me and stroked me. Then he whispered to me, ‘Tell me that you love me.’ ” He paused in the recital, smiling faintly..
“I would not do it. I dinna know why. By then I would ha’ licked his boots and called him the King of Scotland, if he’d wanted it. But I wouldna tell him that. I don’t even remember thinking about it; I just--wouldn’t.” He sighed and his good hand twitched, gripping the coverlet. There was a rustle near [Jamie's] ear, and he turned his head to see the crow. It stood on the grass a foot away, a blotch of wind-ruffled black feathers, regarding him with a bead-bright eye. Deciding that he posed no threat, it swiveled its neck with casual ease and jabbed its thick sharp bill into Jack Randall’s eye. Happy Birthday, BJR -- and may you rot in hell where you belong! The topic of this month's poll is "Would you go through the stones, if you could?" What do you think? Would you go? If not, why not? Please leave a comment here or on my Outlandish Observations Facebook page.